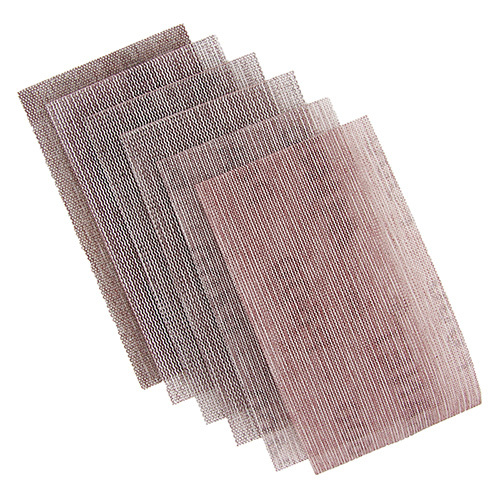 Abranet mesh sheets. Abranet® is a revolutionary sanding material for dust-free sanding. Sheets contain small holes, making it possible to effectively vacuum away dust and other particles without clogging the sheet surface. Provides a very uniform sanding pattern and a perfectly smooth surface. Each sheet measures 2 3/4" x 5". Package contains one of each of the following grits: 120, 180, 240, 320, 400, 600. Price per package in Canadian dollars.